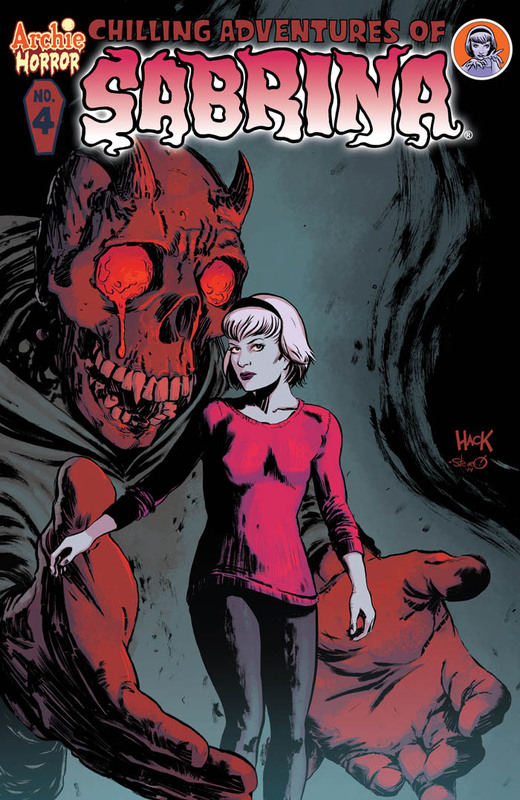 The Fellowship has obtained a first look at CHILLING ADVENTURES OF SABRINA #4 from Archie Comics. 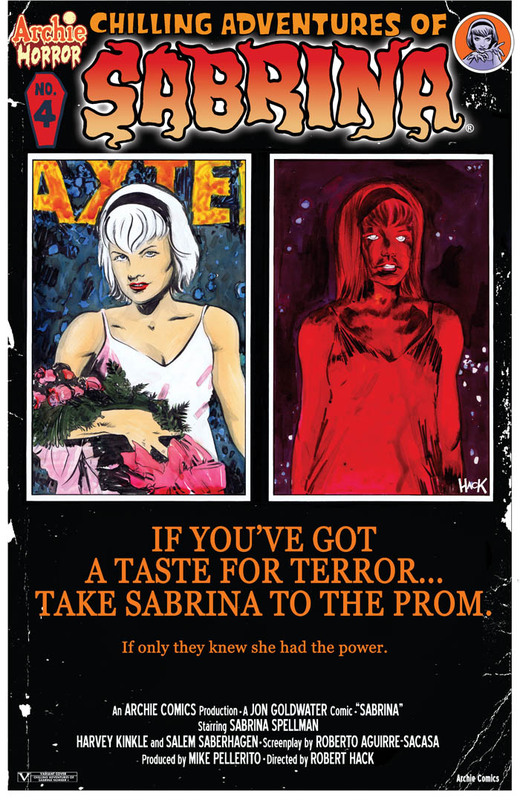 The issue, which hits stores July 29th, is written by Roberto Aguirre Sacasa with art by Robert Hack and Jack Morelli. The covers are by Robert Hack. 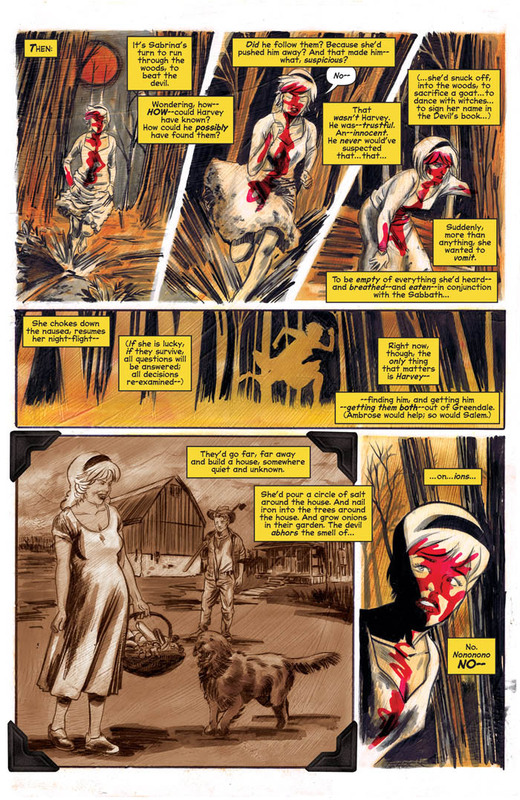 There are some things in this world that mortal eyes should never witness -- that's a lesson poor Harvey Kinkle will learn the hard way, when he makes the unfortunate mistake of intruding on the darkest of ceremonies -- an offense that the witches' coven takes very seriously. 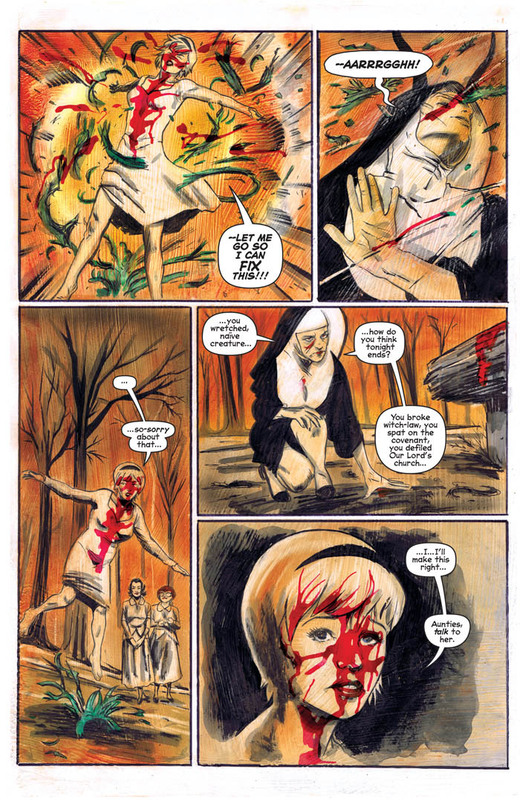 Though Harvey's life hangs in the balance, it is the Spellman family that will come face-to-face with true evil. 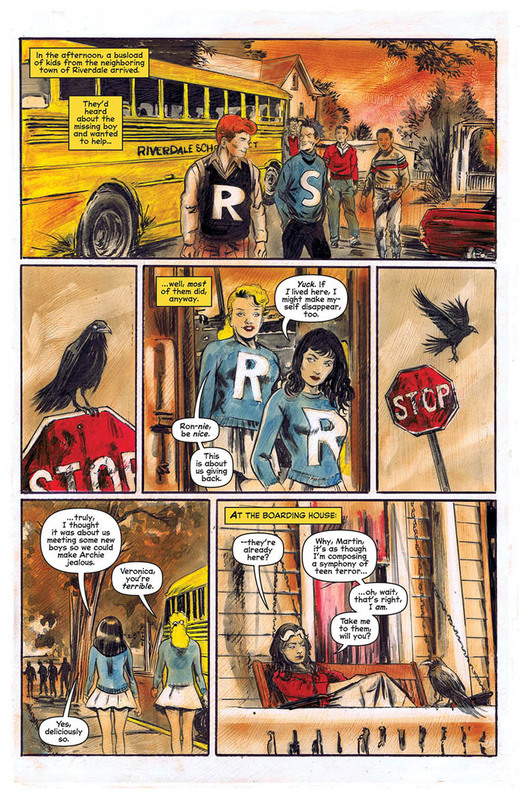 Indeed, the choices made by teen-witch-in-training Sabrina on this dread night will determine the fate of every living soul in Greendale.